The following territory recognition statements have been developed to assist organizations in the acknowledgement of the Treaty lands and Territory of the Mississaugas of the Credit First Nation, direct descendants of the Mississaugas of the Credit. These statements may be used by organizations located within the Treaty Lands and Territory of the Mississaugas of the Credit without written consent. Please note we are officially known as the Mississaugas of the Credit NOT Mississaugas of the New Credit, to ourselves and the Government of Canada. • (This building/name of organization) is located on the Treaty Lands and Territory of the Mississaugas of the Credit. • This land is part of the Treaty Lands and Territory of the Mississaugas of the Credit. • “The (name of organization/event) is/will be located on the Treaty Lands and Territory of the Mississaugas of the Credit. • We would like to begin by acknowledging that the land on which we gather is part of the Treaty Lands and Territory of the Mississaugas of the Credit. Permission to use the MCFN logo is a two-step process. Please visit both of the following links and fill them out, sign, scan, and email to communications@mncfn.ca. Miigwech. 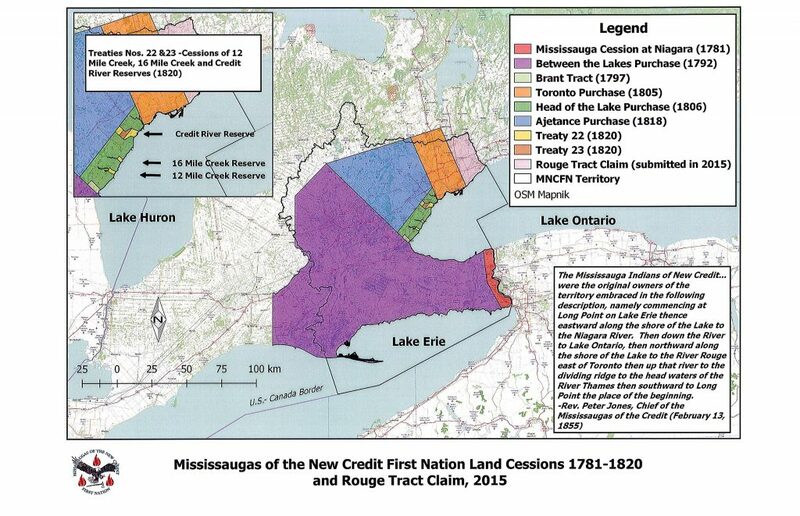 Note: Permission to use the Mississaugas of the Credit First Nation logo independently or with a Mississaugas of the Credit Treaty Lands and Territory Recognition Statement must be explicitly granted by the Mississaugas of the Credit First Nation.